Well, actually, yes they did. A number of Americans played a significant role in the preparations for the event. And indeed, many were on the list to escape through whichever of the three tunnels was first completed. It tends to be forgotten, but US airmen originally shared the historic North Compound with the British, the architects of the scheme. The Great Escape, in reality, began in the spring of 1943 when RAF S/L Roger Bushell announced his bold plans and work began. It was only a few months before the actual completion of one of the tunnels and subsequent escape that the American contingent was moved to a new compound and forced to abandon their participation. One man, in particular, stands out for his contribution. That man is then Lt. Col. Albert Clark. Albert Patton Clark was born at Schofield Barracks, Hawaii, on 27 August 1913. After a formal education at Main Avenue High School in San Antonio, TX, Clark enrolled in the United States Military Academy at West Point in 1932. During his time there, Clark decided that his future lay in the air. After subsequently graduating from flight school at Randolph Field, TX, as a rated pilot in 1937, he joined the Air Corp. That same year he mar­ried the daughter of a former West Point cadet, Carolyn Pierpont Wilbourn. Somewhere in these early years, he had picked up the nickname ‘Bub’ which stuck with him the rest of his life. After an initial posting at Selfridge Field, Michigan, Clark went to England in June 1942 to take up the post of second in command of the 31st Fighter Group. They were one of the first American fighter units to enter the War in Europe. However, the twenty-eight year old’s combat career was cut short when only a month later his Spitfire Vb was shot down over Cape Griz Nez in France. Falling into enemy hands, he was sent to the newly opened German POW camp Stalag Luft III in Silesia, a camp that been specially designed to be escape-proof. As the senior American Officer (SAO), POW 594 Clark was made responsible for the security and intelligence activities surrounding what would later come to be known as The Great Escape. Clark had with him a secret camera with which he captured some of the only known images of life inside Stalag Luft III and events surrounding the escape. 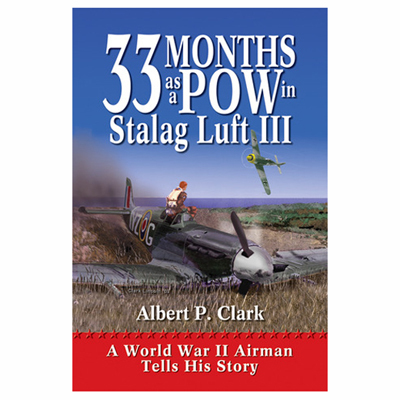 Clark had a strong sense of honor and remembrance, and over the years amassed a wide assortment of material from his military career, much relating to Stalag Luft III. Over time this was drawn together to form The Albert P. Clark Collection, which was eventually donated to the USAF. In January 1945, with advancing Russian forces about to seize the camp, Clark and the rest of the men in Stalag Luft III were evacuated by the Germans in what came to be known as The Long March. Following a grueling winter trek of 86 km and equally unpleasant rail journey in cattle-trucks, they arrived at their new home, Stalag VII-A (Moosburg) in Bavaria. 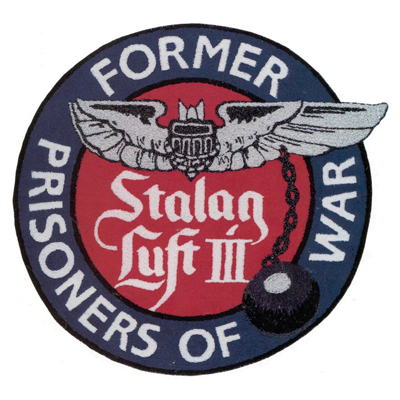 Finally, on 29 April 1945, Clark and the other US airmen from Stalag Luft III were liberated by his namesake General George S. Patton’s 3rd Army. Clark went on to have an illustrious military career, rising to the rank of Lieutenant General and holding such prominent positions as chief of staff of the U.S. Air Forces in Europe, commander of Air University and superintendent of the U.S. Air Force Academy. His marriage to Carolyn lasted 65 years until her death in 2002, with 3 children adding to the family. After retiring from the military, Clark found time to serve on the boards of the U.S. Olympic Committee, the Boy Scouts of America and Stalag Luft III Former POWs. In 2005, he published an account of his experiences as a German prisoner of war, entitled 33 Months as a POW in Stalag Luft III. He also played a leading role in preserving the memory of all those held in Stalag Luft III through the previously mentioned military archive, The Albert P. Clark Collection.